While running the first Selenium test for ORES (Gerrit, Jenkins, screenshot, mw-exception.log) @Etonkovidova and I have noticed that Special:RecentChanges is completely broken in CI. @hashar do you think the problem is in CI, or in ORES? I think I know what's going on here, When you install ORES extension the ores_model needs to be initialized, this process is rather automatic: Someone needs to make an edit, so the system can look up model name and versions from ores service. This won't be an issue in prod as when we enable it, immediately, someone somewhere makes an edit and the tables are filled (this automatic process is needed for updating the model version, not just initializing it, one stone, several birds). For this case, I'm pretty sure you need to make an edit before testing recent changes but I'm not sure if the service is properly set up for that, etc. Etonkovidova added a subtask: T181191: Make ORES-consuming pages more robust to ORES errors. zeljkofilipin added a project: User-zeljkofilipin. 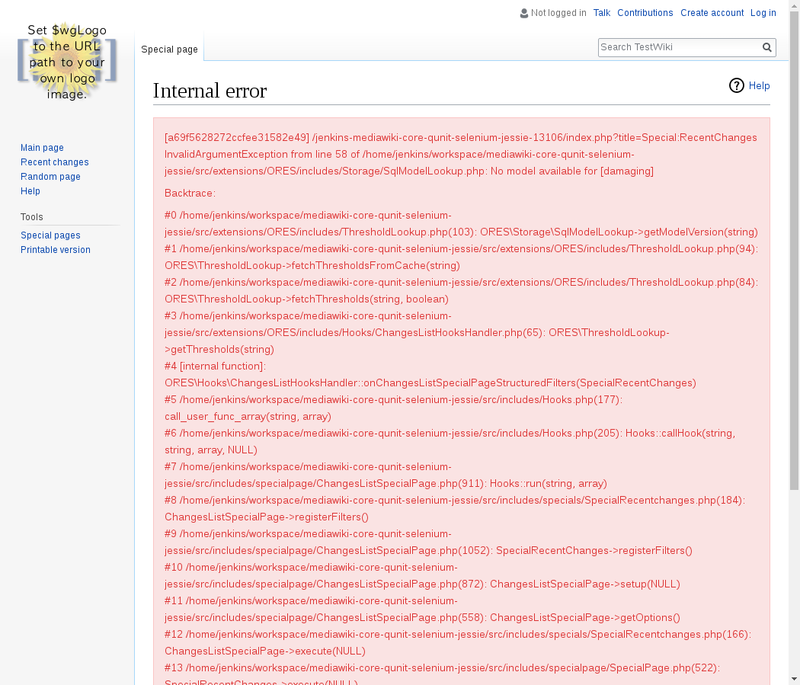 Special:RecentChanges is broken on a clean mediawiki-vagrant VM with the same error message. I'll test locally if creating an edit fixes the problem. I think E:ORES should handle the corner case more gracefully. Anyway, this is something we can log, then quietly disable the thresholds in S:RecentChanges. 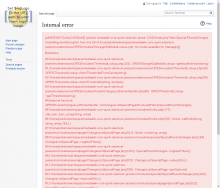 Creating a page (via API) did not fix the problem (402863/5..6): log, screenshot. Ladsgroup edited projects, added Scoring-platform-team (Current); removed Scoring-platform-team. I give this a try. I think fixing this should be that hard. Will take another look tomorrow. @Ladsgroup this is resolved, right? Is there anything left to do here, or can this task be resolved?